2 My Pick of the Week is this Friday. The weather is warmer, and yes it's April Fools day too, so come on out and play at First Fridays on Abbot Kinney. I would like to feature the store, Bohemian Exchange. Can’t tell you how many great deals and beautiful items, I have purchased there. Friday, they are having a very special fashion show that you will NOT want to miss. See details below. Also see First Friday’s Video, to the right of this site, above my wonderful sponsors. BTW, I helped publicize First Fridays on Abbot Kinney way back in the very beginning….hey, don’t blame me for the food trucks…that was way before they came around. By the way, my only gripe with the food trucks is that they clog up the sidewalk and block the store fronts for businesses who pay so much in rent. So don’t forget to support the shops who put this event on. The Venice Street Legends play every Wednesday from 5:00 pm till 10:00 pm at the Venice Bistro (323 Ocean Front Walk in Venice, 90291. These guys know how to rock out. Happy hour specials available. No cover charge. Join deyermond art + books, 2801 Main Street, in Santa Monica, every Wednesday night for an eclectic display of spoken word, music, song and dance. 8:00pm-11:00 pm. www.deyermondbooks.com. Check out their site for Thursday Scrabble night too. They always put on fun events. Refreshments served. Paparazzi Comedy now EVERY Last Thursday of the month at The Canal Club 2025 Pacific Avenue, Venice Beach, CA. Come hear the hottest and funniest comics on the Westside. Hosted by Kente Scott featuring the 420 Comic Jeffrey Peterson, headlining Jason Hadley Also performing Justin Hires, DC Ervin, Roxy, Janet Rousseau and special guest Stevie Mack. Valet and Street parking available. Happy hour drink and food specials. Show starts at 8:00 pm. There is a $5.00 charge BUT, if you rsvp and get there early you will get in FREE before 8:00 pm. So don’t forget to RSVP at paparazzicomedy@yahoo.com Produced by Gisele and event coverage by partyby5.com. Please arrive early, limited seating. The Band, Hot Minute will be playing at El Texate at 316 Pico in Santa Monica, 90405. They have been playing every Thursday in March, so this is your last chance. A fun band, classic rock covers. Check em out, they play from 9pm -12:00am.. FREE all night. Good food too! Let’s start with my PICK OF THE WEEK…Yay. One of my favorite stores is Bohemian Exchange and will be having a very special event this time….see info below. It's April Fools Day...so let's have some fun! Ananda 1356 Abbot Kinney Blvd and Hair Venice will be having a photo exhibit called Scamp Stamp by Patrick Mcelhenny in their back yard. - Skylark 1356 Abbot Kinney Blvd will also be open. (310) 399-41861356. Gumbo Kinney in conjunction with Robin Murez, will be having a lovely event in the beautiful glass garden known as Robin’s Sculpture Garden. There will be music and refreshments. On sale, will be vintage Tibetan coats and robes and sashes and scarves as well as exquisite one of a kind vintage Kimono wear. Robin’s Sculpture Garden, is located at 1632 Abbott Kinney. Right next door, you have to stop into Zingara Trading 1507 Abbot Kinney for their famous S'mores…Yum! They have one of-a-kind clothing and accessories….simply gorgeous and are also have great sales too. 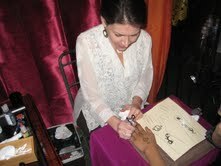 This month they are giving away FREE henna tattoos. 310 392-6424; http://www.zingaratrading.com/. Then head back in the other direction, going north to …You Need a Sofa 1344 Abbot Kinney Blvd who will be open as well serving cheese and crackers.. 310 399-3928; http://www.youneedasofa.com/. Nitespa 1301 Abbot Kinney will be open for First Fridays and offer all kinds of little treats and specials during the evening. They always create a fun festive vibe. Enjoy their handpicked spa soundtrack, rosemary water and organic teas. There will also be art and jewelry for sale. Open till 10:00 pm. Stop by during First Fridays and receive 25% off any treatment The entrance is on Santa Clara. 310.396.5122; http://www.nitespa.com/. Now down toward the other end is a lovely shop called Altered Space Gallery 1221 Abbot Kinney Blvd will be open and serving refreshments, as well as celebrating the opening of Michele Mikesell's exhibit, "Monsters," see image on left. 310-452-8121; http://www.alteredspacegallery.com/. That's it for First Fridays! If it’s too early to go home, or you can’t handle the crowds on Abbot Kinney, or just want to keep the buzz alive, take a trip to Los Feliz and check out La Luz de Jesus Gallery. This edgy gallery knows how to put on a fun opening. 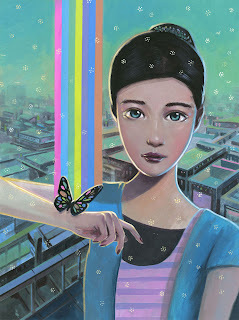 This one features works by Mark Gleason, Daniel Hyun Lim, (see image to left), Danni Shinya Luo, Heather Watts. All of the proceeds from Daniel Lim’s work will be donated to the Japan Disaster fund, by the way. The gallery is located at 4633 Hollywood Blvd near Vermont. Opening starts at 8:00 pm and goes till 11:00 pm. 323.666.7667. http://www.laluzdejesus.com/. A new daytime event, called Earth Festival is happening on Windward Ave and the beach in Venice on both Saturday and Sunday, noon till 9:00 pm….see below under Sunday for more info. Now let’s talk about the evening. Not sure where you are coming from, but we’ve got fun events in Venice, Santa Monica and Culver city and Downtown, …..so take your pick! Let’s start with Venice and Santa Monica, move to Culver City, where quite a few events are happening. Then there are a couple of Downtown galleries that are having later openings, so you can continue the art/party vibe into the wee hours…..Cool! 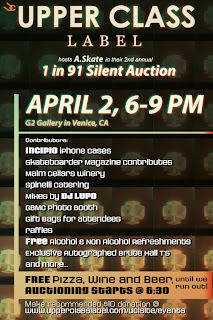 Come celebrate “1 in 91” Art Exhibition and Fundraiser at The G2 Gallery (1503 Abbot Kinney Blvd. in Venice) from 6:00 pm till 9:00 pm. 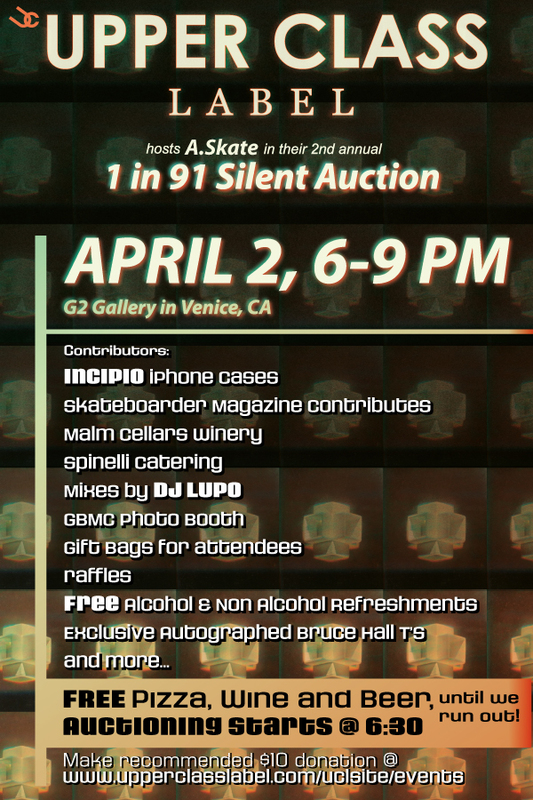 Join Upper Class Label and The A.skate Foundation for their silent auction. 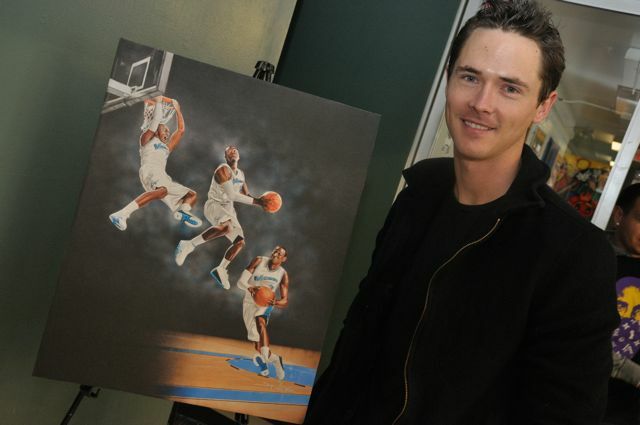 The goal for this event was to collect 91 pieces of donated artwork, since 1 in 91 of children are diagnosed with Autism. All the proceeds from their silent auction will go towards The A.skate Foundation. Be aware that you MUST purchase tickets online at http://upperclasslabel.com/uclsite/events. All tickets purchased for this event will go towards Crys Worley and the A.Skate Foundation. Tickets are $10 and the first 200 attendees will receive gift bags, with some great gear, including iPhone cases from Incipio, 80s Purple sunglasses and gift cards, Elwood Clothing tees, Skateboarder Mag magazines and a few stickers from Powell Peralta, Bones Bearings and BONES Wheels. Ticket price includes, freshly made pizza, refreshments, wine and beer. There will be a DJ, so come ready to dance! Remember, it’s all for a good cause…To find out more about the event and participating organizations. http://upperclasslabel.com/uclsite/events; http://askate.org/; http://forockids.org/. This is a privately hosted event by Upper Class. So the folks at G2 won’t be able to answer questions about the event, but if you need driving directions or hours for G2, here is their info. 310-452-2842; http://www.theg2gallery.com/. You may want to start off in Santa Monica, at the Shoshana Wayne Gallery at Bergamot Station 2525 Michigan Ave (B-1), 90404 from 5:00 pm till 7:00 pm. The featured artist is Elaine Reichek. 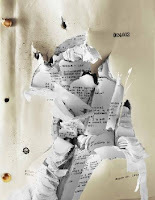 310.453.7535; http://www.shoshanawayne.com/. Also in Santa Monica, hop over to the Bleicher/Golightly Gallery (1431 Ocean Ave.) in Santa Monica who will be having an opening reception for a group exhibition called Scapes from 6:00 pm till 10:00 pm. Photographers: Jeff Alu, Malika Sqalli, Leonard Monje, Amina Bech, Claudio Santini, Shannon Rowland, Paul Golightly, Frank Schlegel, Tatiana Botton, Ray PinjanthukPainters: Joshua Elias, David Skinner, Marjorie Moskowitz, Matt Shane, Jim Holyoak, Gay Summer Rick, Jessika Cardinahl, (see image on left) Airom, Kathy Ikerd, Philip Vaughan, Danielle Eubank, Paul Roux, Anna Bruinsma, Michelle Neilsen, Ashley Wilson. 310 878 2784; http://bgartdealings.com/. Now if Culver City floats your boat…there’s lots going on, Honor Fraser will be showing works by Tillman Kaiser and Rob Fischer (see image). Located at 2622 S. La Cienega,…you’ll want to park and pop into several happening right on La Cienega. Reception is from 6:00 pm – 8:00 pm. (310) 837-0191; http://www.honorfraser.com/. Cherry and Martin (2712 S. La Cienega Blvd.) features art by Mari Eastman from 6:00 pm till 8:00 pm. 310.559.0100; http://www.cherryandmartin.com/. Then be sure to stop into the Western Project located at 2762 S. La Cienega Blvd., same times as the others 6:00 pm – 8:00 pm. Artists showing are Daniel Brice and Skylar Fein. 310.838.0609; http://www.western-project.com/. 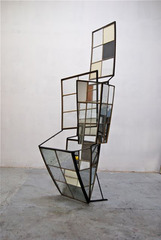 Just a bit more down the street, don’t miss the David Kordansky Gallery at 3143 S. La Cienega Blvd., unit A. Their reception runs a bit later, featuring artist Mai Thu Perret, runs from 6:00 pm till 9:00 pm. 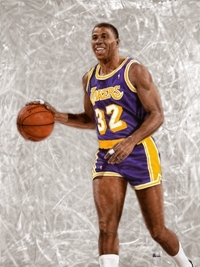 310-558-3030 ; http://davidkordanskygallery.com/. Cardwell Jimmerson Contemporary Art (8568 Washington Blvd.) will be having a fun opening reception from 6:00 pm till 8:00 pm.. The exhibition features documents and proposals from the LA Fine Art Squad dated between 1969 and 1973 when the partnership disbanded. As well, the show features subsequent but related artworks by these two artists, Victor Henderson and Terry Schoonhoven. 310-815-1100; http://www.cardwelljimmerson.com/. Stay in Culver City and head over to Rumors (formerly the Rumor Mill) located at 11739 West Washington Blvd., Los Angeles, CA 90066. The opening reception for Michael ‘Tempo’ Temple runs from 7:30 pm till 10:00 pm. In addition to being a wonderful artist, Temple is also the founder and percussionist of The Bonedaddys…great band by the way. Michael Temple has asked Dramane Kono, an incredible dejembe and balaphone player to perform with a small ensemble at the opening. Come enjoy some fabulous art, great music, refreshments and snacks. 310-397-5400; http://www.therumormill.us/. If you want to keep the party going, Downtown is having couple openings that do go later. Norbertellen Gallery, a fun little gallery, is having a guest curated show by Atsuko Sera who will feature a glimpse into the realm of Japan’s premier fine artists. This event is sponsored by ARTas1. www.ARTas1.com; Inquiries: 2011event@artas1.com. The event runs from 6:00 pm till 10:00pm. A donation from the proceeds will be given to “Save the Children” for earthquake & tsunami relief in Japan. 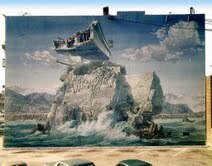 Norbertellen Gallery is located at 215 W. 6TH St. Ste #110, Los Angeles, CA 90014; 818-662-5041; http://www.norbertellengallery.com. Then right around the corner, stop into the Hive Gallery (729 South Sprint St.) for their 6 year anniversary show featuring artists Joan Charles, Rudy Fig, Paul Garcia, Kenny B. Harris and William Zdan. They always have fun openings that run late, from 8:00 pm till 12:30 am. (213) 955-9051; http://thehivegallery.com. A new last minute festival is happening in Venice Saturday and Sunday, called Earth Festival. The producers of this one recently approached the Venice Neighborhood Council just about a month ago, so I am not sure what to expect. But if you are a local, like me, you may as well hobble down and check it out on Windward Ave. oops Did I say Windward Ave?….what happened to Anjelica Huston?…..guess she let this one get by. It runs from 12-9:00 pm. But all us locals pretty much know the cops will stop it at 6:00 pm or maybe 7:00pm, at least the beach part of it. We shall see. It sounds like a good organization. Trying to help a good cause, so Venice locals, let’s show our support and get out there. I am told there will be Four Stages with Live Music, Djs, artists, flow artists, vendors, sponsors, and the Garden of Eden demonstrating alternative sources of energy. Alternative Earth is a non profit whose purpose is to help save the planet with alternative sources of energy through art, music, science, and social gatherings....check out their facebook page for more info, http://www.facebook.com/event.php?eid=165352283513454. Or enjoy a wonderful art show at LA Artcore at Union Center for the Arts (120 Judge John Aiso St. LA, 90012). They are having an opening reception from 3:00 pm till 5:00 pm featuring artists Michael Gianchristiano (see image) and Joseph Vorgity. 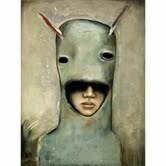 Exhibit will be up till April 29th 213.617.3274; http://www.laartcore.org/. Have a super week….till next time! Weekend Update....there is always something fun to do! My Pick of the Week is Saturday, March 26th…Victory Fine Arts presents “VICTORY: A Sports Art Exhibit” featuring artists, Armando Villareal, Shane Stover, Garry Limuti and guest artist, international photographer, Bo Bridges. The show, “Victory” is for art lovers and sports enthusiasts alike. 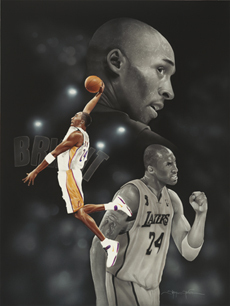 Check out this week’s Argonaut, pg 14, see this photo of Shane Stover’s painting of Kobe as well as a nice article. The reception will be held at Universal Art Gallery from 6:30 pm till 9:00 pm at 2001 Lincoln Blvd, in Venice, 90291. This will be a wonderful opening reception with appetizers, refreshments and wine. See more details under Saturday’s events. The Boys and Girls Club which is participating in this event as well. A contest was created for the participating kids from the B&G Club’s Art/Sports programs to paint their favorite sports heroes. Three of the winners will be showing their work in this upcoming community event and exhibition at Universal Art Gallery on Saturday. Here is one of the winners with his Art teacher, from The Boys & Girls Club of Venice. Photo by Steve DePena. Well it’s a good week to go to Hama Sushi, they do have a great sushi happy hour too. They will be donating 10% of your bill to the earthquake and tsunami victims in Japan. So go, eat some sushi. It’s a wonderful restaurant and it helps a great cause. Hama Sushi is located at 213 Windward Ave, right off the circle. 310 396-8783; http://www.hamasushi.com/. 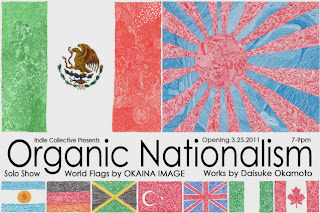 Indie Collective opening reception of "organic nationalism", a solo show by daisuke okamoto. The event begins runs from 7pm to 9 pm drinks and snacks will be served. Indie Collective gallery 6039-A Washington Blvd culver city, 90232 310 837-7714; www.indiecollective.com. G2 Gallery (1503 Abbot Kinney Blvd. ), presents musician, John Vester, performing traditional folk songs at 7:30 pm. A $5.00 donation is suggested, but as always it will support environmental charities. 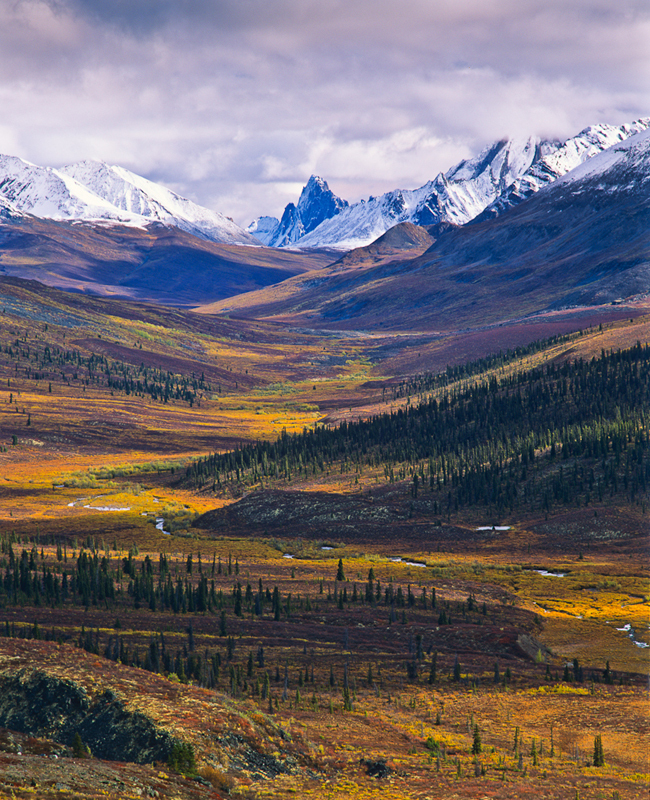 You still have a chance to enjoy the photography of Garth Lenz. (see image) Boreal Future: Our Last Great Forest and the Threat of the Tar Sands. It is a breathtaking exhibit. http://www.theg2gallery.com/. 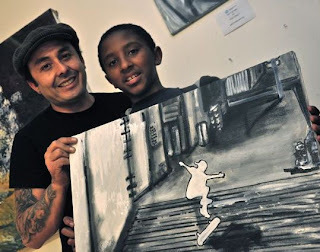 My Pick of the Week is the Victory Fine Arts event, “VICTORY: A Sports Art Exhibit” featuring artists, Armando Villareal, (see image below), Shane Stover, (photo, to right), Garry Limuti and guest artist, international photographer, Bo Bridges. This Sports/Art opening reception will be held at Universal Art Gallery at 2001 Lincoln Blvd, in Venice, 90291 from 6:30 pm till 9:00 pm. The Boys and Girls Club is participating in this event as well. A contest was created for the participating kids from the B&G Club’s Art/Sports programs to paint their favorite sports heroes. Three of the winners will be showing their work in this upcoming community event and exhibition at Universal Art Gallery on Saturday. This will be a wonderful opening reception with appetizers, refreshments and wine. See more details under Saturday’s events. Universal Art Gallery is a well known framing studio and has become a valuable resource for artists, galleries and businesses alike to frame their fine works of art. The curator, Sally Walsh, consistently puts together inventive and eclectic art exhibits with fabulous opening receptions. This one will be extra special. http://www.victoryfineart.com/; http://www.framegallery.com/. It's supposed to be a huge event and better than all the previous ones. This year it's hosted by Jaguar and they will have streets closed off to show their newest models. A bunch of galleries and shops are participating and there will be live entertainment, trunk shows, cocktail reception, etc. 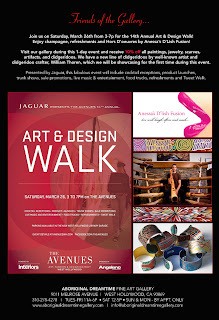 Before you go, see the Avenues website, for more event details at http://www.avenueswh.com/artdesignwalk/. One more stop you may want to make….when you are in Venice, is Liza Lou’s exhibit at L&M Arts, at 660 Venice Blvd. 90291. This edgy gallery always has fun well attended openings. 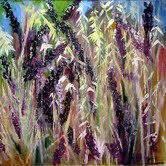 310 821-6400; http://www.lmgallery.com/. block south of Venice Blvd. (310) 390-1328. www.kathyleonardo.com. Also, you may want to see, Singer, Songwriter, Alfred Johnson, who will be tinkling away on the keys over at Rumors (formerly the Rumor Mill) at 11739 W. Washington Blvd., Culver City, 90066, from 7:30 till 10:00pm . Alfred is also a good friend and I have performed on the same bill with him many times. A funny, well versed entertainer. Free; www.myspace.com/alfredjohnson; http://therumormill.us/. Its World Music Night again at The Talking Stick Coffee Lounge 1411 Lincoln Blvd Venice 90291 from 7:00pm till 10:00pm . Created by Stefani Valadez and Music Magique Promotions, this event happens every 4th Sunday of the month and is hosted by Stefani Valadez who also happens to be a fabulous singer/songwriter and musician. There is a $10.00 cover on this, and a one drink minimum (hey, but it’s only coffee…just bring a shot of something, to zip up the evening. 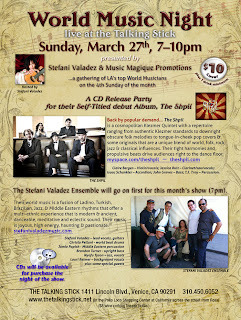 Stefani Valadez Ensemble (Euro-Fusion) will be starting the evening at 7:00 pm. 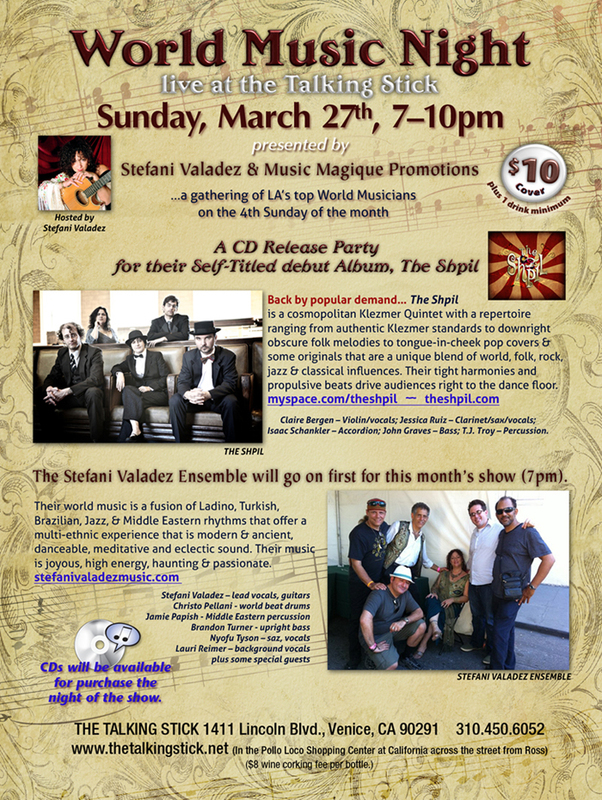 Then, the featured band tonight is The Shpil (don’t ask me to pronounce it) This Klezmer Quintet is also celebrating their CD Release Party,….so it should be a fun! Till next time. Have a good one. My Pick of the Week is Saturday, March 26th. 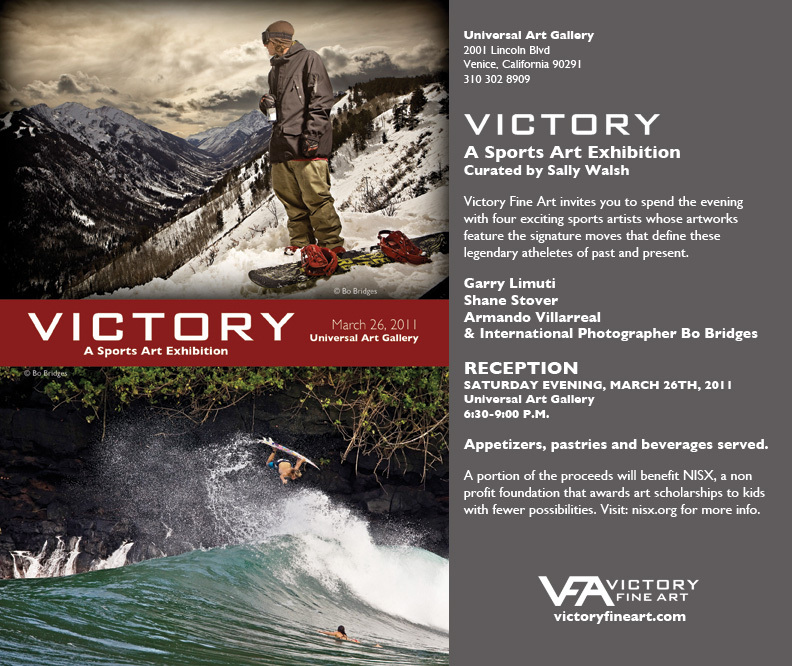 Victory Fine Arts presents “VICTORY: A Sports Art Exhibit” featuring artists, Armando Villareal, Shane Stover, Garry Limuti and guest artist, international photographer, Bo Bridges. 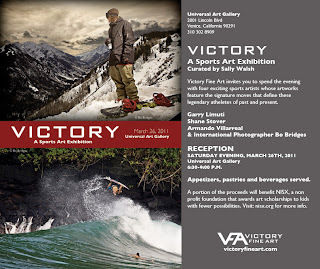 The show, “Victory” is for art lovers and sports enthusiasts alike. The reception will be held at Universal Art Gallery from 6:30 pm till 9:00 pm at 2001 Lincoln Blvd, in Venice, 90291. This will be a wonderful opening reception with appetizers, refreshments and wine. More details under Saturday’s events. 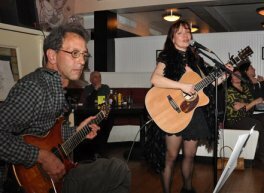 Dannys Venice, FREE Blues and Jazz…..yes I am tooting my own horn, but what can I say? I am a PR person. I will be performing with Vinnie Caggiano at Dannys Venice Beach Bistro and Bar on tonight from 7:00 pm till 10:00 pm. (23 Windward Ave., between Pacific Ave and Venice Beach 90291 310 566-5610). Enjoy one of their famous Mojitos, a delicious dinner and some tasty treats. Take advantage of the extended happy hour till 8:00 pm for this show only! Admission is FREE! http://www.kathyleonardo.com/; http://www.vincognito.com/. 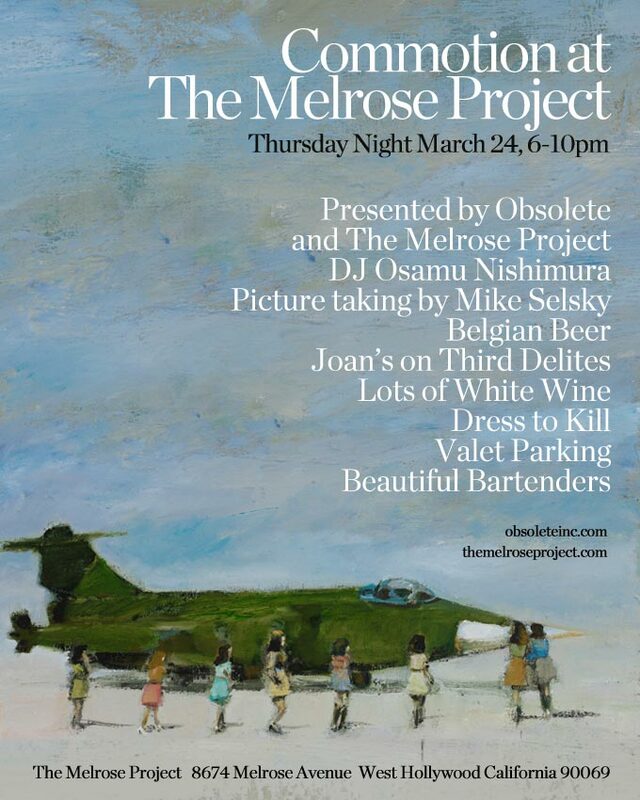 The Melrose Project and Obsolete present “Commotion at the Melrose Project”…sounds like my kind of event. Check out the flyer….Looking forward to hearing DJ Osamu Nishimura and maybe drink some of the Belgian Beer. You may enjoy the beautiful bartenders. Unless of course, if they are men. Wine is being offered too, as well as valet parking, I assume it is up to us to dress to kill. From 7:00 pm till 10:00 pm The Melrose Project is located at 8674 Melrose Ave., W. Hollywood, CA 90069. http://www.themelroseproject.com/; http://www.obsoleteinc.com/. The Band, Hot Minute will be playing at El Texate at 316 Pico in Santa Monica, 90405, every Thursday in March, from 9pm -12:00am. I heard they make a mean margarita! http://www.eltexate.com/. Indie Collective opening reception of "organic nationalism", a solo show by daisuke okamoto. The event begins runs from 7pm to 9 pm drinks and snacks will be served. Indie Collective gallery 6039-A Washington Blvd culver city, 90232; http://www.indiecollective.com/. My Pick of the Week is the Victory Fine Arts event, “VICTORY: A Sports Art Exhibit” featuring artists, Armando Villareal, Shane Stover, Garry Limuti and guest artist, international photographer, Bo Bridges. This Sports/Art opening reception will be held at Universal Art Gallery at 2001 Lincoln Blvd, in Venice, 90291 from 6:30 pm till 9:00 pm. Now before you head to the Pick of the Week, you may want to check out the 14th annual Art and Design Art Walk during the day, from 3:00 pm till 7:00 pm, located in West Hollywood. If you couldn’t make it out to Danny’s this past Wed,(we had an amazing jam). Hats off to horn player Venetia phillips and harp player Terry Braverman. They rocked...and of course Vinnie Caggiano, as always was the bomb! Just got a last minute gig, at The Cinema Bar. I will be playing with Greg Cruz and the Venice Street Legends from 9:00 pm till 10:00pm. Strong woman blues and country covers….June Carter, Patsy Cline and maybe I’ll even sing that favorite, These Boots are Made for Walkin. It's gonna be a fun night, Miss Jessica and the Sugar Shack will perform at 10:00pm. 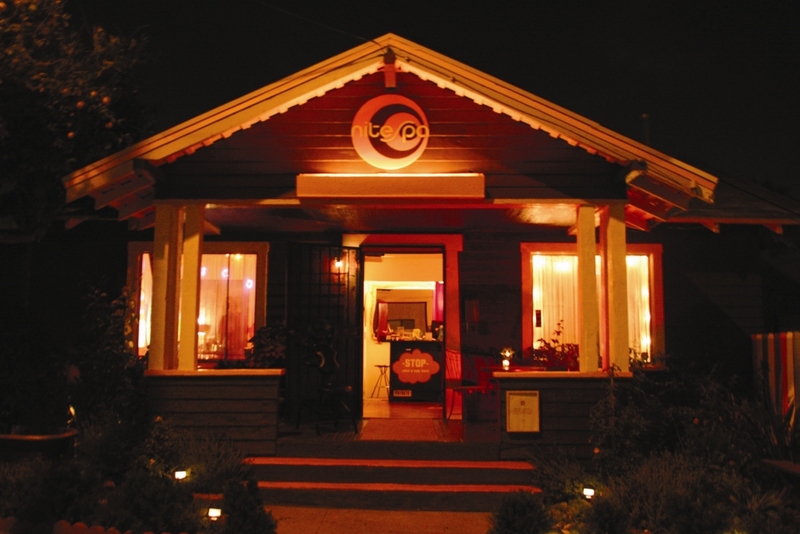 The Cinema Bar is a fun dive bar located at 3967 Sepulveda Blvd. north of Washington Place, 1 block south of Venice Blvd. (310) 390-1328. How bout hearing some great music? You can catch, Singer, Songwriter, Alfred Johnson will be tinkling the keys at Rumors (formerly the Rumor Mill) at 11739 W. Washington Blvd., Culver City, 90066, from 7:30 till 10:00pm . Alfred is also a good friend and I have performed on the same bill with him many times. A funny, well versed entertainer. Free; www.myspace.com/alfredjohnson; http://therumormill.us/.